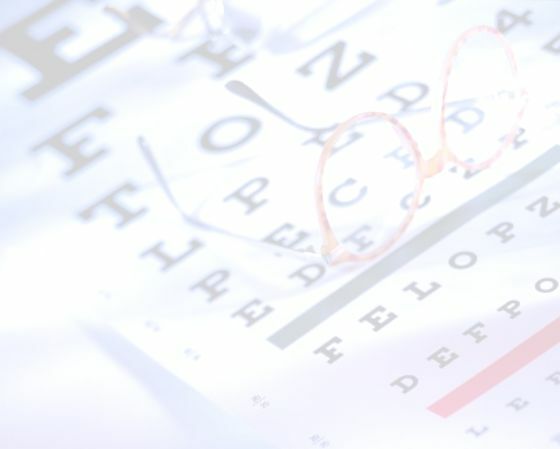 When you visit our Lasik clinic, one of our qualified Lasik surgeons will first perform an eye exam to determine if you are a good candidate for Lasik surgery. Note that we do not practice high volume, assembly line Lasik eye correction. You will have the undivided attention of a top Orange County Lasik eye surgeon and their experienced, attendant medical staff. Just like a regular eye exam, your eye doctor and/or Lasik surgeon will use a refractor - to determine your prescription; a slit lamp - to look into the back of the eye for retinal problems; and a tonometer - to determine intraocular pressure. If your intraocular pressure is too high, this may be an early sign of glaucoma and a different strategy might be indicated. Your eye surgeon will also look for signs of dry eye disease, which must be treated and cleared up before LASIK can be performed. Our Newport Beach, CA clinic is well qualified to do this. Next, a corneal topographer will be used to photograph your eye and create a map of your cornea. None of us has a perfect cornea, and the topographer will display the corneal irregularities and steepness or flatness that the surgeon must correct. 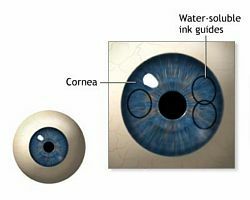 In addition, we will measure the thickness of your cornea using a Pachemeter. Finally, your patient chart will be reviewed for any general health problems or medications you are taking. Some health conditions may disqualify you altogether for LASIK while others may simply postpone the procedure. Lasik procedures are done on an out patient basis. You walk in, have the procedure, then walk out. 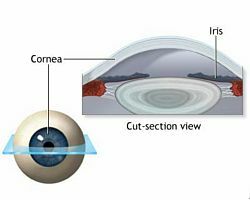 The actual procedure involves creating a small, temporary hinged flap in the cornea. The flap is folded back - revealing the middle of the cornea - called the stroma. 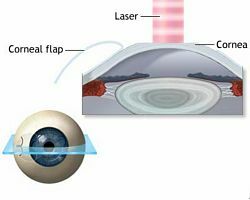 Mapping the position of your eye at the rate of 4,000 cycles per second, pulses from a computer controlled laser then vaporize a predetermined portion of the stroma - and then the flap is replaced. 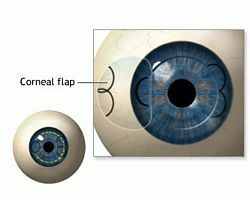 The flap re-adheres to the cornea almost immediately and is healed within a few days. The result - no more glasses, no more contact lens, and the freedom of almost perfect eyesight.